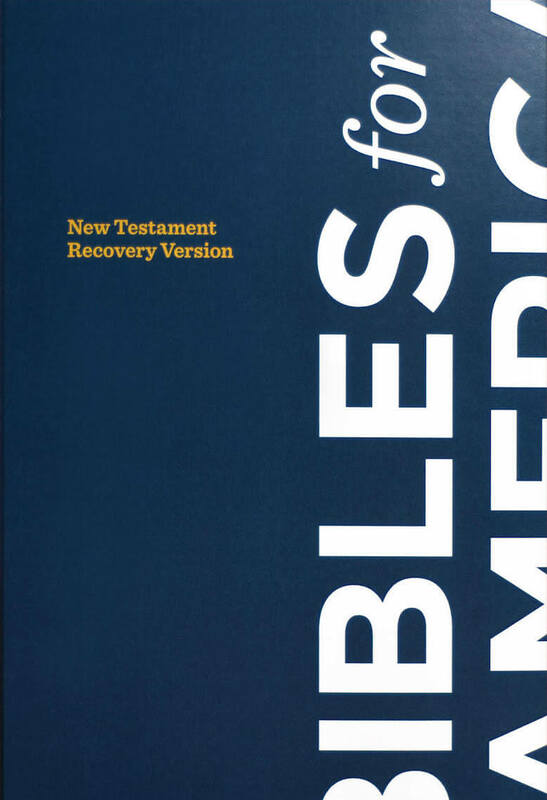 In Revelation 1:9 the apostle John is our “brother and fellow partaker in the tribulation and kingdom and endurance in Jesus.” Acts 14:22 informs us that “through many tribulations we must enter into the kingdom of God.” Ultimately this kingdom is New Jerusalem. Between here and there are tribulations, but we do not endure them in ourselves. 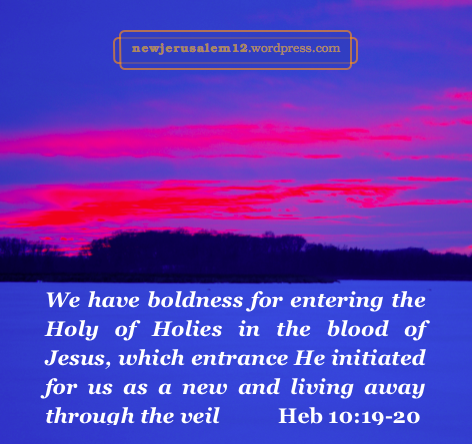 We are in Jesus. 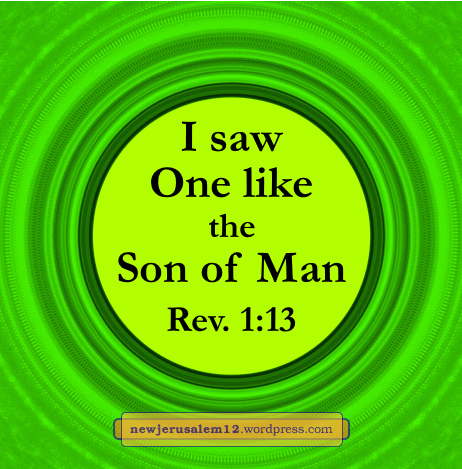 In 1:10 John heard a voice, in 1:12 he turned to see the voice, and in 1:13 he saw “One like the Son of Man, clothed with a garment reaching to the feet, and girded about at the breasts with a golden girdle.” This Son of Man is Jesus Christ, our High Priest, who ministers to us (as in Heb. 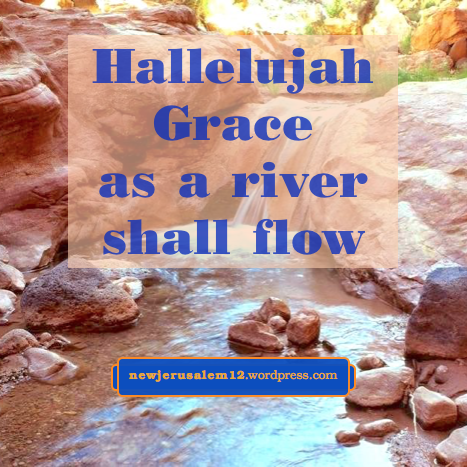 5–10) and brings us onward through this life and unto New Jerusalem. 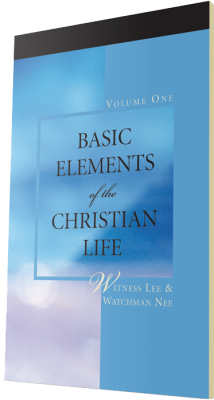 His characteristics in 1:14-16 may be considered in the notes here. In 1:17-18 He declares, “Do not fear; I am the First and the Last and the living One; and I became dead, and behold, I am living forever and ever; and I have the keys of death and of Hades.” We should not fear anything because He is first and last, so nothing is outside the limits He sets and because He has conquered death. Rather than fear, we should let our requests be made known to Him so that He may be our peace (Phil. 4:6-7). This wonderful One is caring for us now and will surely bring us all the way to New Jerusalem. 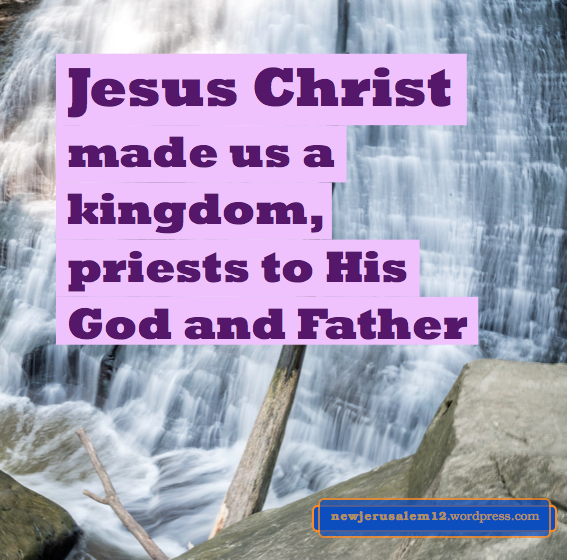 An outcome of the Lord’s redemption is that we became a kingdom of priests (Revelation 1:5-6). Gradually we grow in Him and are built together into the reality of the priesthood to be saturated with Him and to radiate His excellence. When the Lord returns, those believers who are living in the reality of the priesthood will be brought onward to be priests and to reign with Him for a thousand years. There are many conflicting teachings about the thousand years. 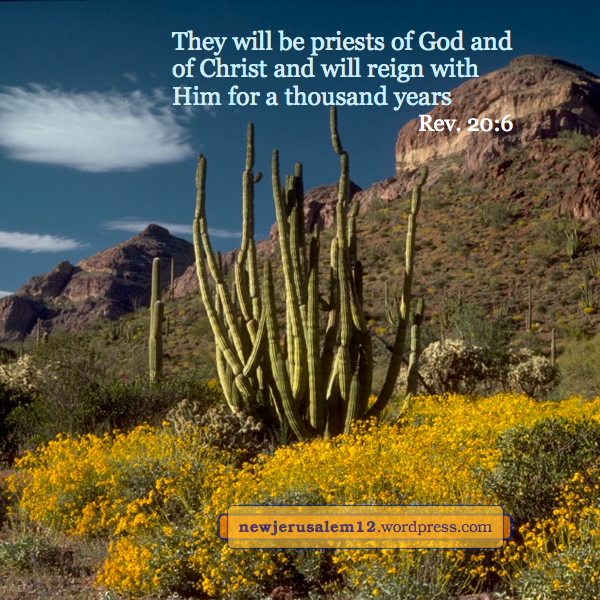 Without getting into this morass, we see that the kingdom of priests was intended by God with Israel, is founded on Jesus Christ Himself as the kingly High Priest, was brought forth and is built up in this age, will exist (no doubt stronger) in the thousand years, and will reach its high point in New Jerusalem. This kingly priesthood is not many separate individual priests, but is the corporate body of priests, the priesthood, built together one spiritual house. It is progressing now, will be fuller in the thousand years, and will consummate in New Jerusalem.